Flashlight HD LED : There are many flashlight apps, so why get this one ? Flashlight HD LED app is compatible with most phones including those on which other apps do not work. This includes for example : Droid Bionic, X2, Motorola RAZR, Sony Xperia Arc, HTC Wildfire, LG Optimus Black / 3D/ Ally, Motorola Defy, Milestone, Samsung Galaxy Nexus, SHARP… and much more ! Good Stuff I love you click the icon and the light turns on. No menus, no fuss, just plain flashlight. Plus you can turn off the screen and still have a flashlight in your hand. No more blindness! #1The last things you want is light shining back into your eyes or accidently turn your light off. This app allows you to black the screen! #2Light comes on when app is clicked NO SECONDARY STEPS! 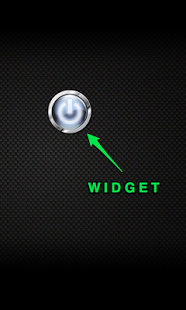 #3Widget is very compact.